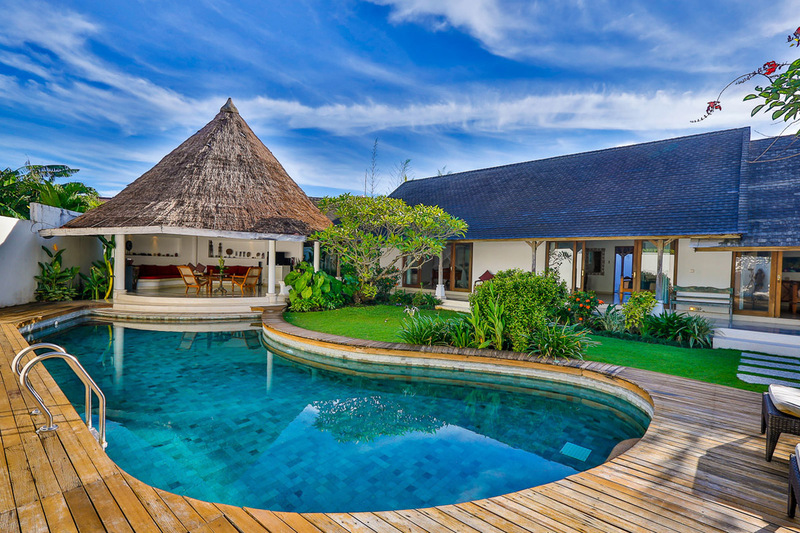 From $ 486AUD per night We have direct contracts with most villa owners. We don't add any booking fees. We are 100% transparent with no nasty surprises. 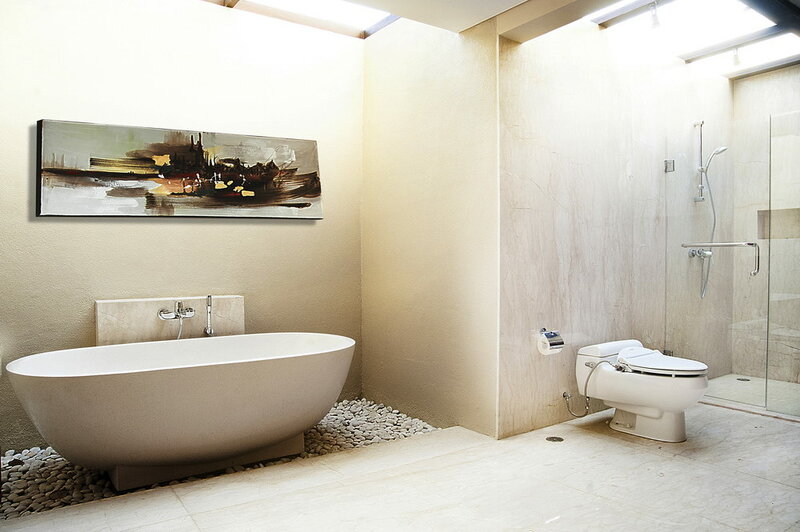 Prime Seminyak location - rent this today! 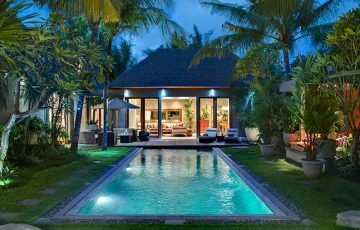 Villa Garden Three is a contemporary 3 bedroom Seminyak holiday villa rental situated down a quiet lane in a fabulous Seminyak location. 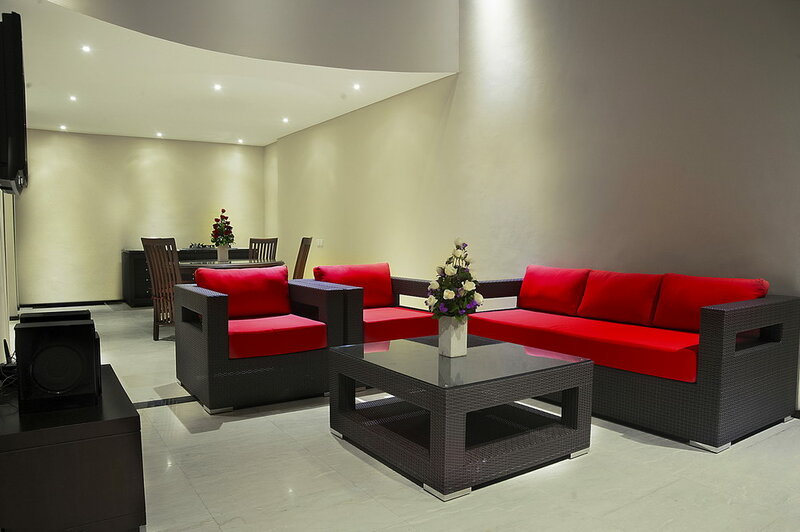 This prime location affords guests easy access the beach in front of La Luciola and fun times to be had at Miss Sippy Day Club and great dinners at Saigon Street. 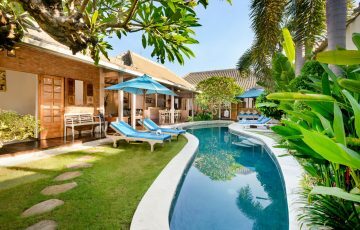 The villa is in a lovely peaceful spot so 6 guests will have a very relaxing holiday at Villa Garden without spending a fortune. 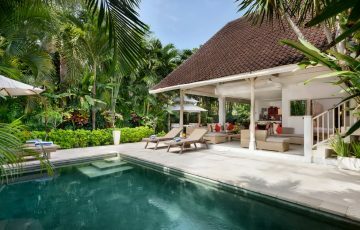 The villa is part of a private complex and the compound is tucked away behind high walls, its here that your tropical playground awaits with the glistening private swimming pool with sun recliners, fresh soft beach towels, then all you will need is your coconut oil and the smells of paradise will gently whisk you away to a Zen inspired place. 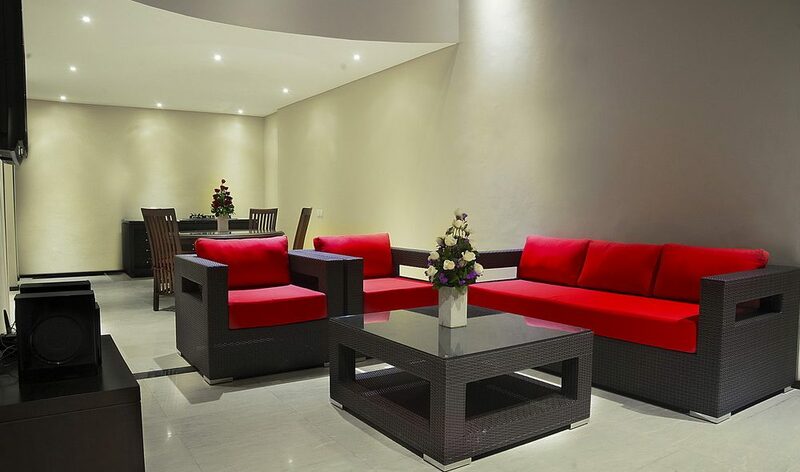 The living area of Villa Garden is modestly decorated with splashes of red and grey. The living space is open-air with a rattan sofa placed in front of the flat-screen TV, you can watch the latest block buster here or enjoy your favourite sitcom on the satellite TV. You can enjoy meals here together at the circular dining table and the kitchen has plenty of utensils, crockery and appliances should you wish to do some cooking for your family or friends. 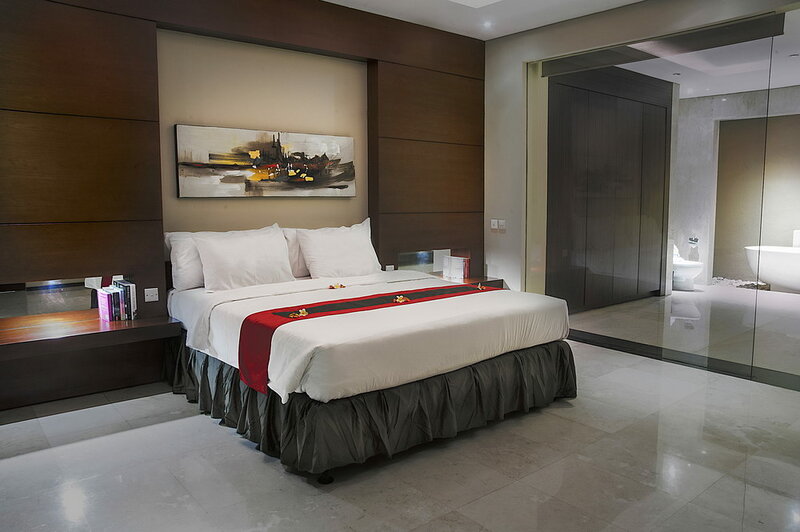 The villa has three rooms that provide guests modern fully air conditioned accommodation. 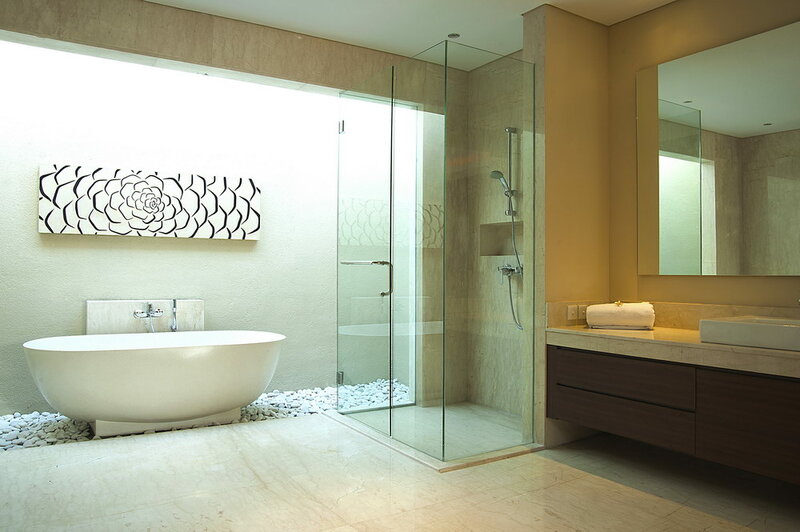 These rooms have comfortable king size beds with large glass sliding doors opening onto the villas glorious pool area, the rooms are very spacious allowing guests to move around freely within, the en suites boast amazing soaking tubs are nicely finished marble rain showers with full spa amenities. 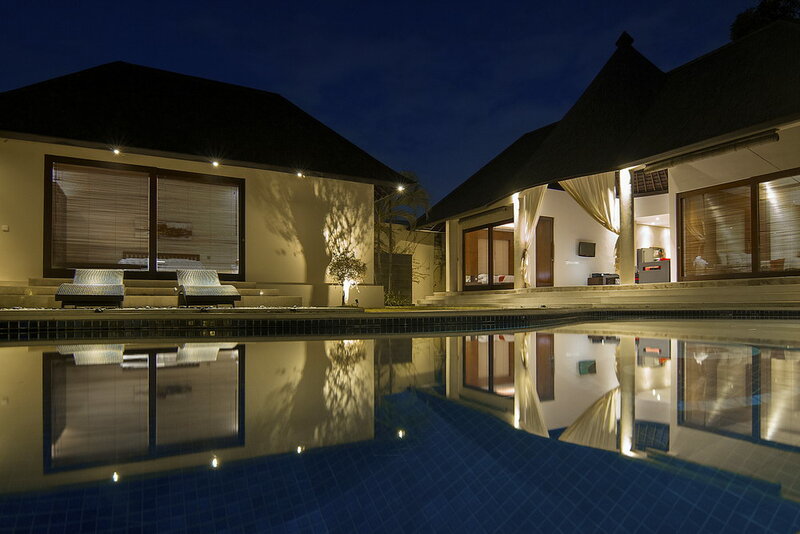 The villa is serviced by a highly skilled, talented, and professionally trained Balinese staff. They will gladly cook healthy breakfast for you every single day, clean the villa each morning and look after all your laundry. If you need a spa treatment, hire a scooter / car or a dinner reservation made the staff will take of everything. Basically, all you have to do is worry about topping up your tan or which lovely cafe your going to have lunch at nearby. 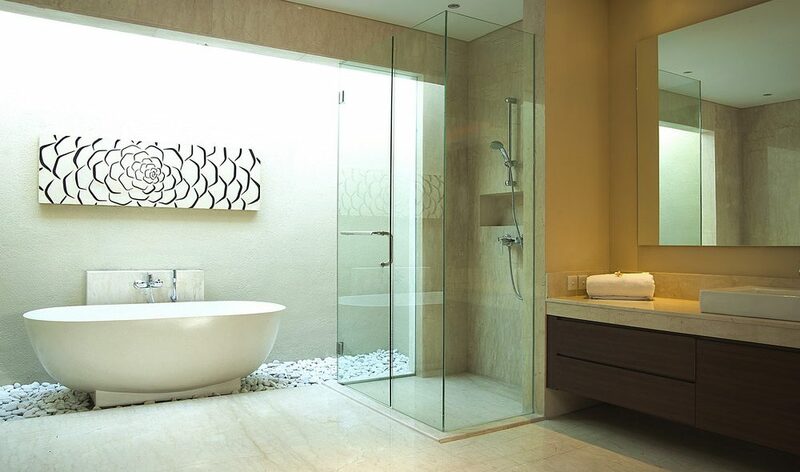 Certainly the highlight of Villa Garden Three must be its prime location just off Jalan Petitenget. You can easily walk to La Luciola for breakfast or lunch and then take a stroll on the beach before returning for a coffee at Sea Circus. Grab the kids and spend the day at Mrs Sippy with its huge pool and diving platform the kids will love it. 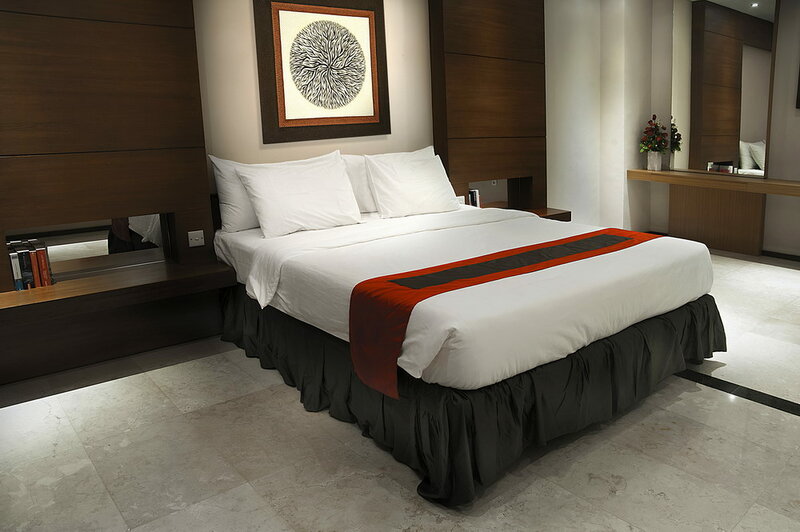 Potato Head & the ultra popular Ku De Ta is just a 5 min walk away where you can spend a day by the pool followed by a lovely dinner at Sarong, Merah Putih, Kynd, Saigon Street, Sea Circus or Biku, the choice is all yours. 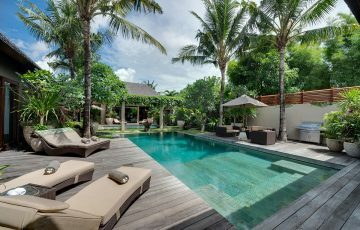 To view other 3 bedroom Bali villas or our full range of Seminyak villas near Eat Street please browse this website or contact our reservation team. 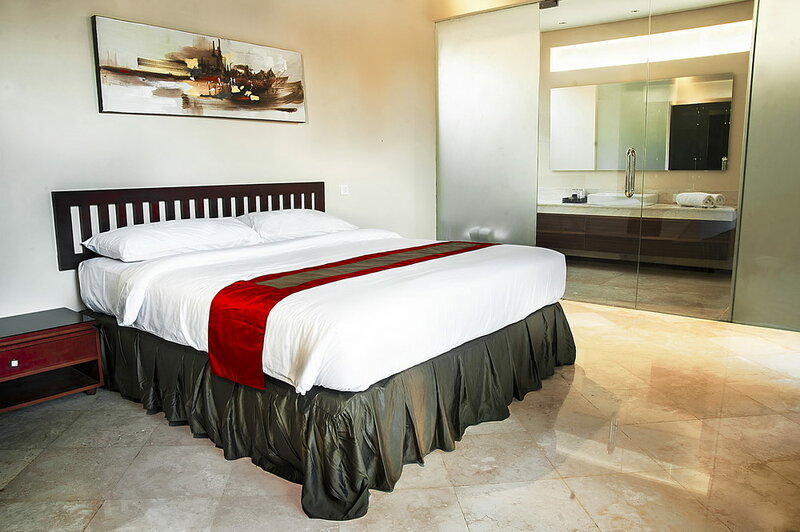 This is a popular Seminyak holiday villa so if your planning a trip to Bali, especially during the Australian school or public holidays please book Villa Garden Three well in advance. 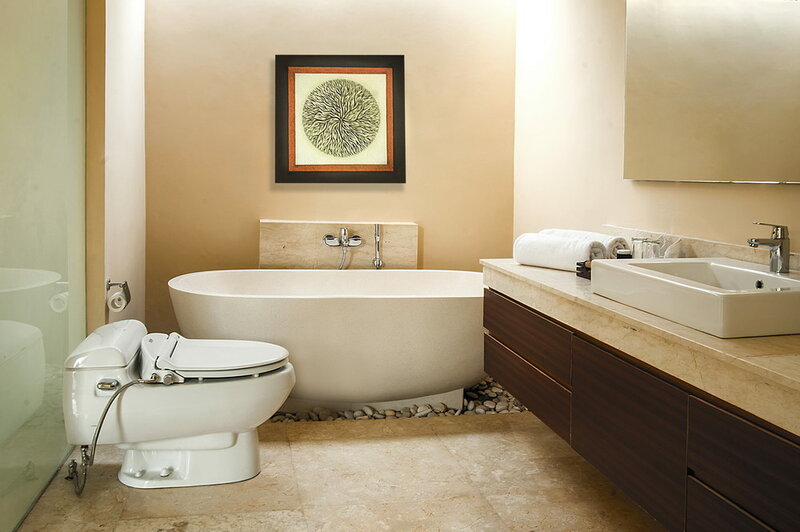 Affordable, clean and the location was exactly what we were looking for. It was perfect for our small family. 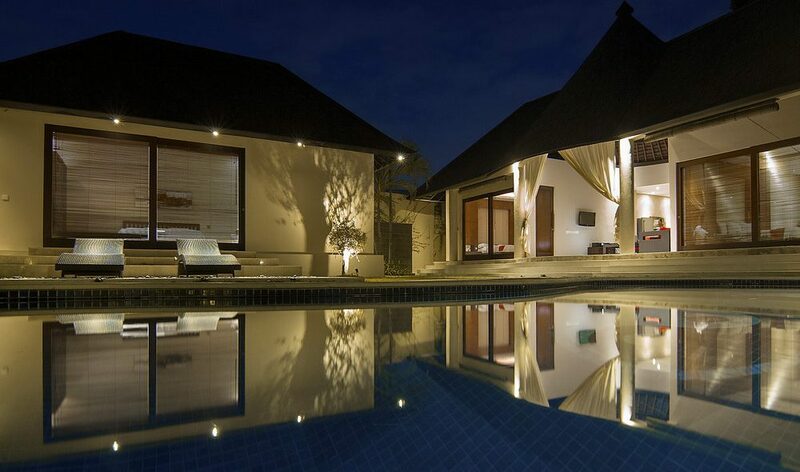 This was an amazing villa and I have no hesitation in recommending it. 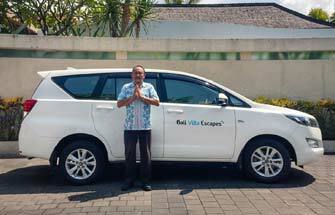 Just want to thank Ina at Bali Villa Escapes for organising this for us in what we know is a very busy period. We have already told another family about this place and they will definitely be coming here. 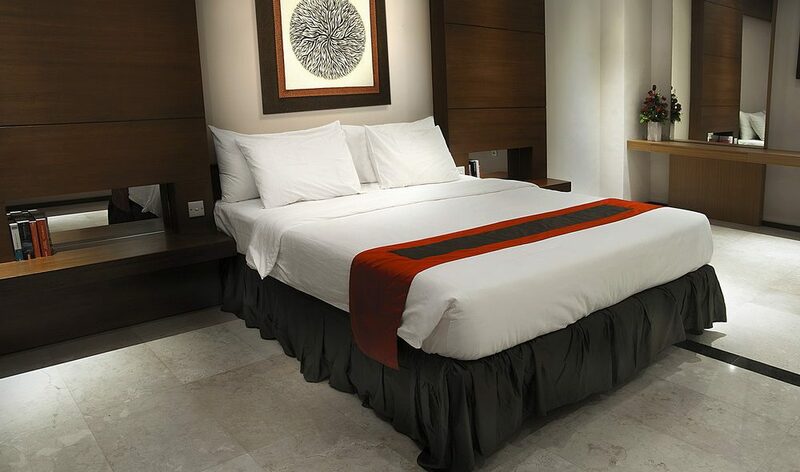 Just want to tell everyone reading this that if you want to have a great holiday experience try spending some time at Villa Garden Three. We found it far far better than the photos. Plus the location to so many good restaurants and shops was an added bonus. The villa staff were also really nice and very welcoming. 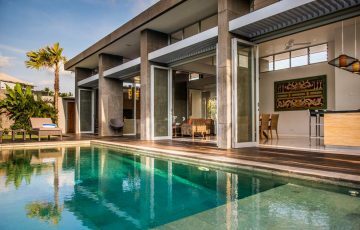 Peaceful holiday villa in a really handy location - as frequent travellers to Bali from Perth we will definitely be coming back here again with the kids. Could not believe how close we were to the beach and restaurants. Just want to say a huge thanks to all the staff at Garden Three, you were wonderful.